Now this is a calendar. Granted its not very practical if you want to fill it in with notes and schedules, but not all people are looking for a calendar like that. Some people just want a pretty calendar for their wall. 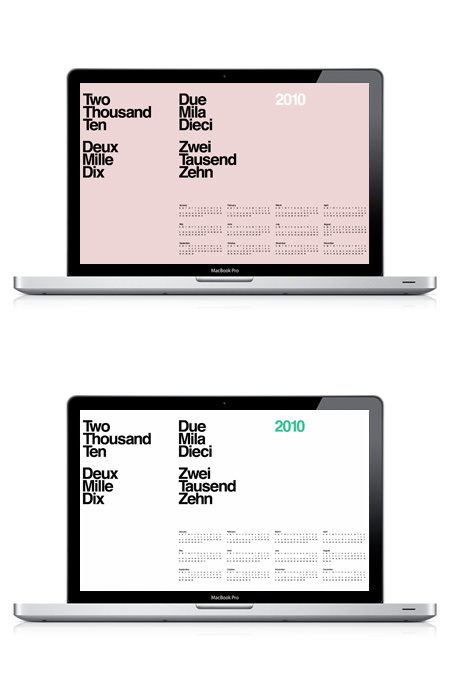 This modernist calendar is my dream calendar. The double-wide layout is unexpected, but it fits nicely with amount of space given for the calendar itself. more work by this designer in the sources.